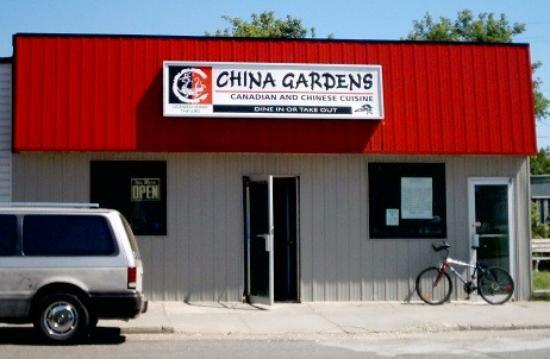 There aren't enough food, service, value or atmosphere ratings for China Gardens, Canada yet. Be one of the first to write a review! Very musty/dirty smelling! Small portions for take out and very over Priced!!! Restaurant dark looking and gloomy too! $12.95 for small portions way too much money! Not fancy by any means because of an older building and at times musty smell, But the food is good and staff very friendly. Been there a few times. Good food and service. Also, the only licensed restaurant open after 10 pm in Nipigon. Great atmosphere. Food was good & tasty decently priced but service was a bit slow. We just didn't get our meals together. So some were finished eating before others got their food. Staff was very friendly. We were staying in town so ordered takeout. It was edible but it was very, very average and nothing to rave about or make us go out of way to eat there, It wasn't horrible, just so small town average. Get quick answers from China Gardens staff and past visitors.